You know that incredibly cheesy, gooey Spinach and Artichoke Dip you can order at your neighborhood Applebee’s? The flavor is ten times better when you make it in your home kitchen. 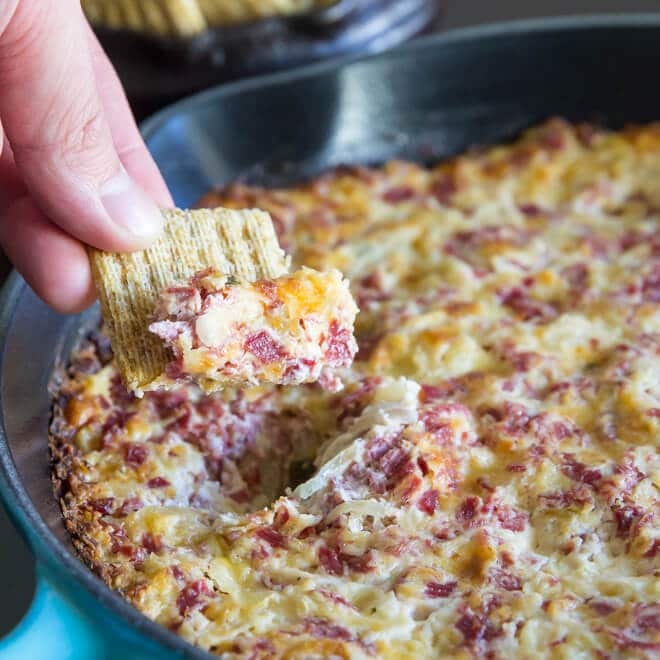 Baked until hot and bubbly, all you’ll need is crispy bread, tortilla chips, or a giant spoon! 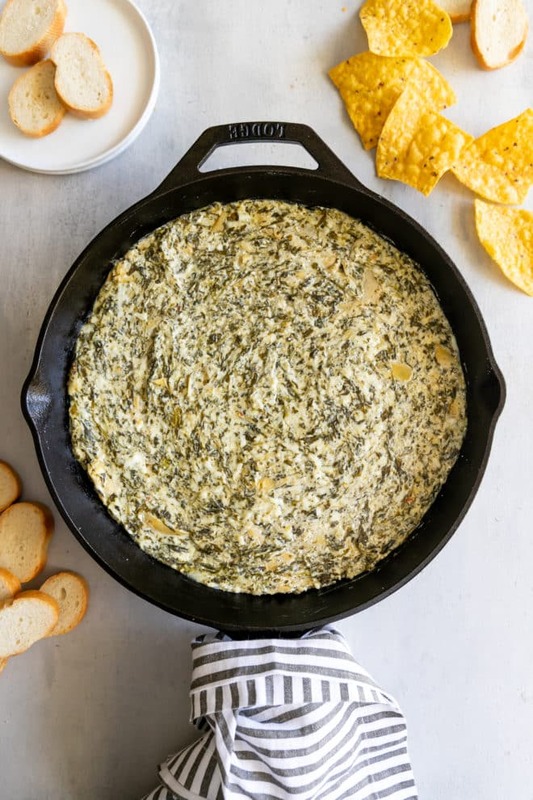 Need to make Spinach and Artichoke Dip for a crowd? Just use the handy slider in my recipe card to adjust the quantity up. Or, slide it down to make serving for you, party of one! What’s in Spinach and Artichoke Dip? 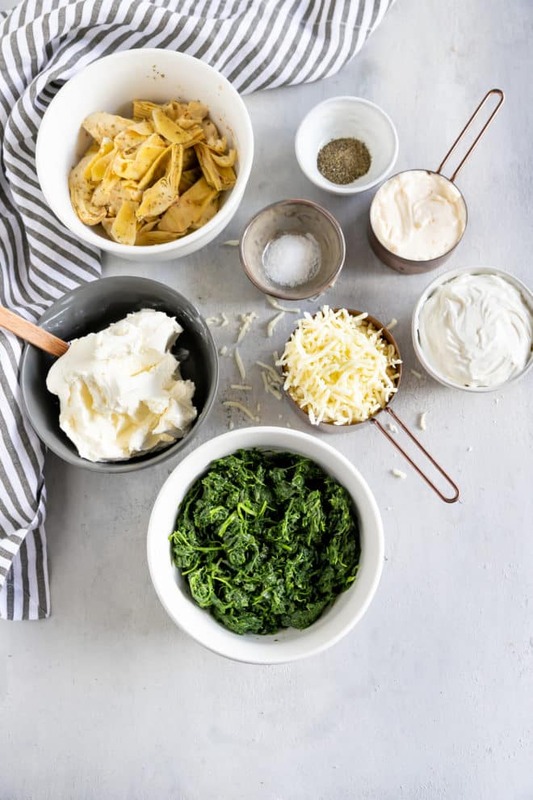 Cream cheese, mayonnaise, sour cream, marinated artichoke hearts (we’ll talk about those later), frozen spinach (or fresh – we’ll get to that too! ), and mozzarella cheese – just 6 ingredients to cheesy perfection! 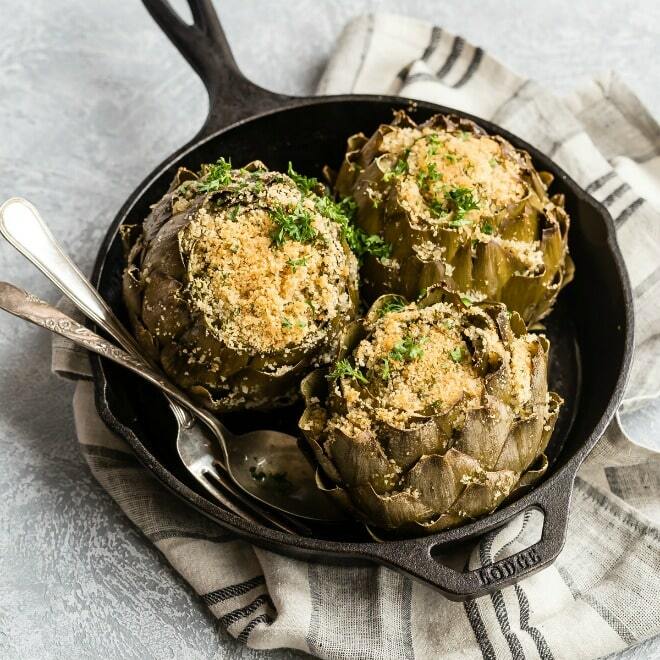 What type of artichokes do I use? You should buy the marinated artichoke hearts in a jar, not brined artichokes hearts in a can. The marinated hearts come packaged in lemon juice, olive oil, and Italian seasoning, meaning they are much more flavorful and don’t have that off-putting flavor of the canned variety. 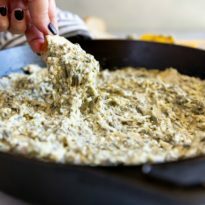 How do you make spinach and artichoke dip in the oven? In a medium bowl, mix the softened cream cheese, mayonnaise, and sour cream until smooth. 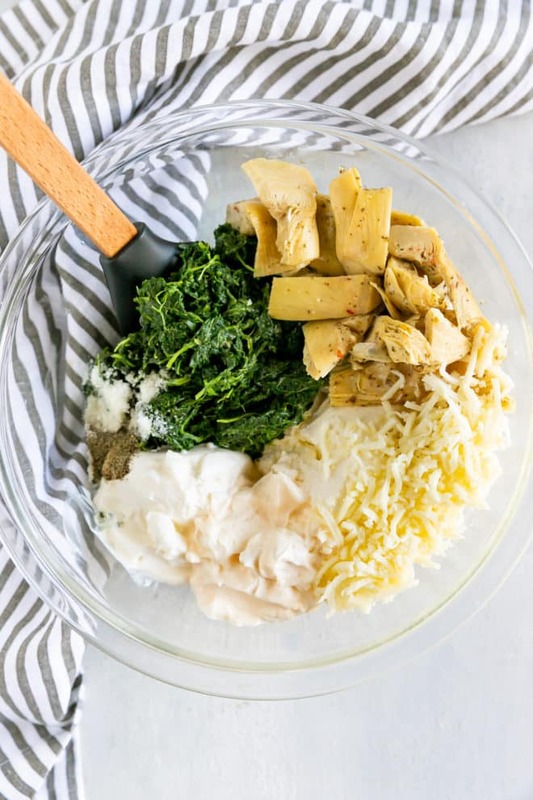 Fold in the artichoke hearts, spinach, and mozzarella. Transfer to a greased 9 inch pie plate, cover, and bake for 35-40 minutes, or until hot and bubbly. How do you make spinach and artichoke dip in a crockpot? Combine all the ingredients in a slow cooker and stir. Heat on LOW 3 to 4 hours or HIGH 1 to 2 hours. Serve warm right from the crockpot! 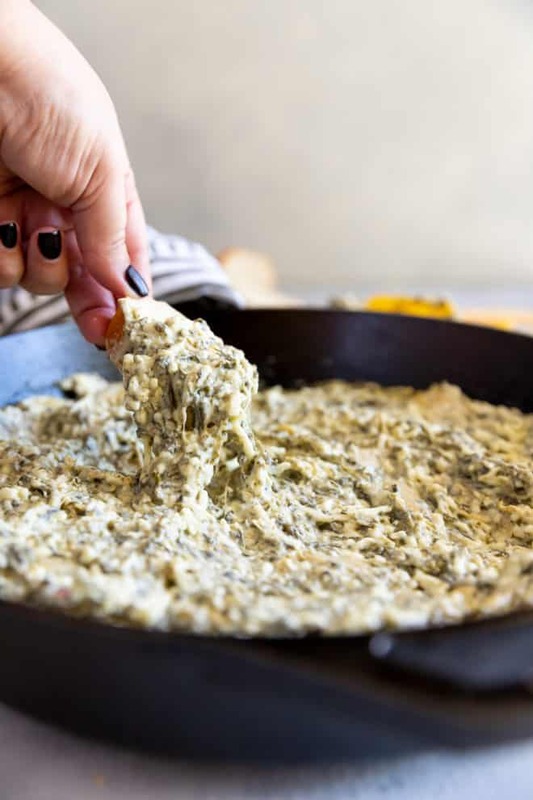 How do you make spinach and artichoke dip in an Instant Pot? 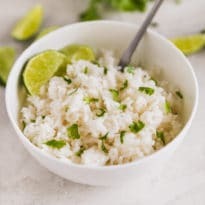 Combine all ingredients in your instant pot and stir. Set to Slow Cook on HIGH for 2 hours and cover with a vented lid. Serve warm right from the InstaPot! Yes, but I leave the choice up to you, as this will require more effort. One 10 ounce package of frozen, chopped spinach is equal to 1 ½ cups of cooked spinach or 1 ½ pounds of fresh spinach. 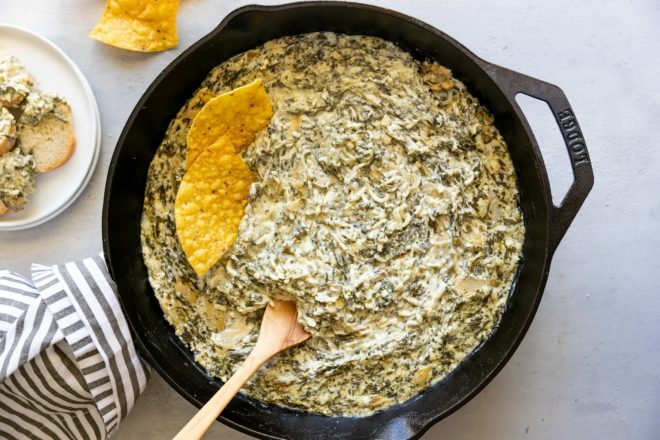 To ensure your spinach and artichoke dip is not full of spinach water, you will first have to cook down the fresh spinach, chop it, and then wring it out with a kitchen towel. For frozen spinach, you simply have to thaw and wring out the excess liquid in a kitchen towel or drain through a fine mesh sieve. You know that incredibly cheesy, gooey Spinach and Artichoke Dip you can order at your neighborhood Applebee’s? The flavor is ten times better when you make it in your home kitchen. 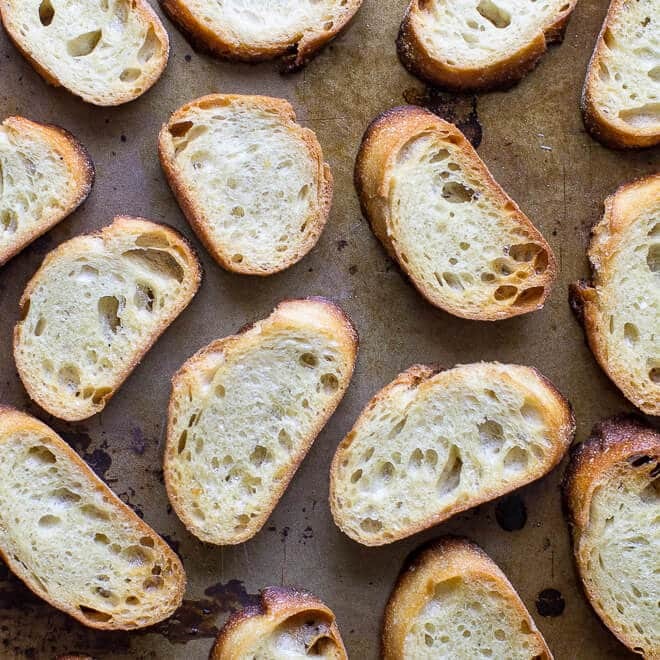 Baked until hot and bubbly, all you'll need is crispy bread, tortilla chips, or a giant spoon! Preheat oven to 400 degrees. Coat a 9-glass pie plate or other baking dish with nonstick cooking spray. In a medium bowl, combine cream cheese, mayonnaise, and sour cream and mix until smooth. Stir in artichoke hearts, spinach, mozzarella cheese, salt, and pepper. Spread evenly into prepared baking dish and cover with foil. Bake until hot and bubbly, about 35 to 40 minutes. 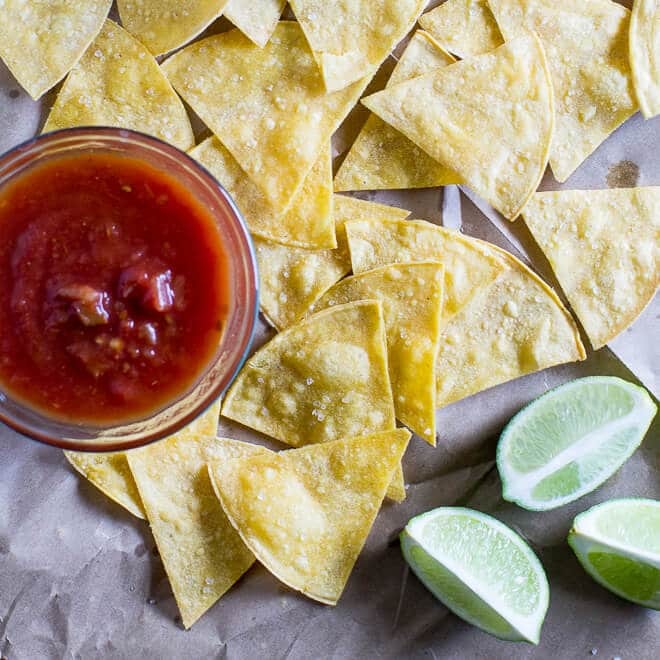 Serve with tortilla chips or crusty bread. To remove excess water from thawed spinach, wrap in a clean, dry kitchen towel and squeeze until as much liquid as possible has been removed. Or, place in a fine-mesh sieve and press down with a spatula or spoon. Game day is all about the dips for me. I could care less about the “real food”. I just want ALL the appetizers. This looks soooo good Meggan! Mmm…. I love spinach and artichoke dip! My stomach literally just growled! This is perfect for a Super Bowl party! If I were at a party with this dip, I think I’d be a very bad guest. I would not be able to do anything else but sit in a corner and stuff my face with it! It looks so cheesy and indulgent and full of fresh green goodness. Beautiful! What’s better than hot and cheesy? And I think with the addition of the spinach cancels out the cheese and makes it healthy, right? Looks so good, I want to eat it all. I made this dip and everyone loved it. I was nervous about the lack of spices etc you had to add but really nothing else is needed at all. 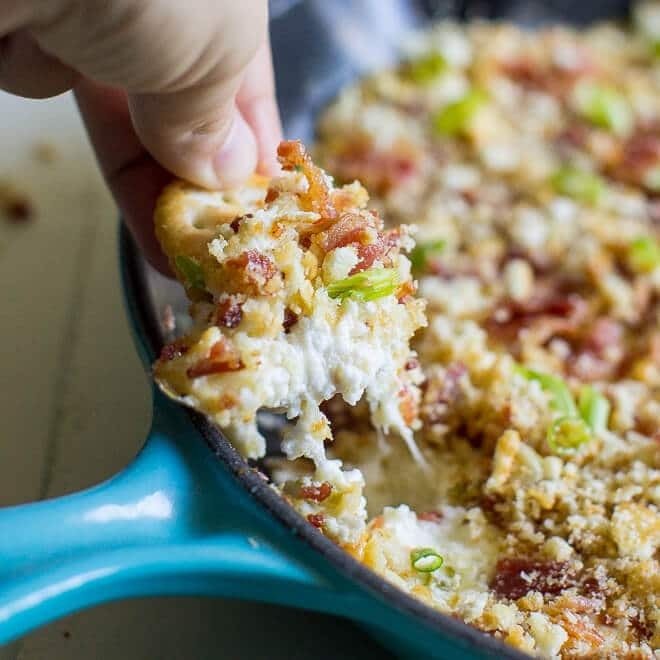 It’s completely creamy and cheesy and absolutely scrumptious. 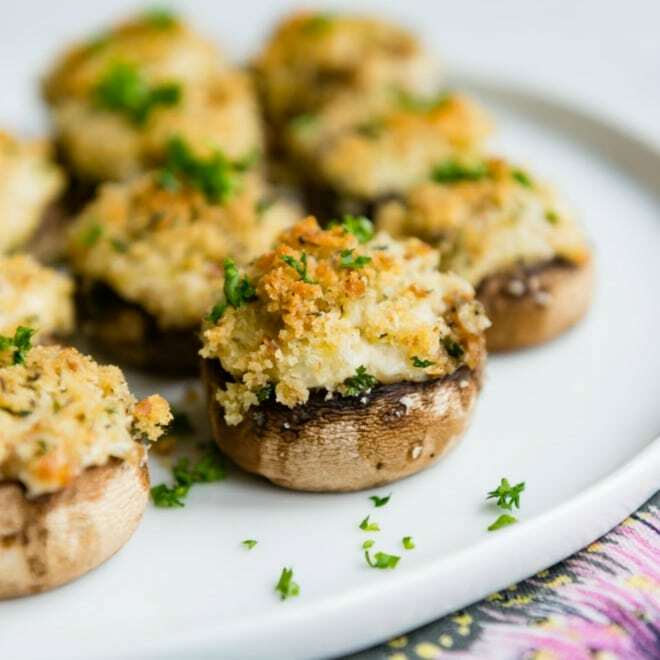 Out of all the appetizers I’ve eaten I really think this is the best recipe. So simply and easy and crowd pleasing! Saved,I’ll definitely make again! I followed this recipe exactly and was wondering as well about the lack of spices. And I was right. It was okay but very bland. I like more flavor and this recipe definitely needs some “spicing” up! Next time I will add some salt, pepper and maybe a little garlic powder and see if it that helps. It is definitely up to the cook to add salt and pepper to ANY dish to their liking. Everyone has their own preferences in that regard. Good luck! My 21 guests absolutely loved the artichoke dip! Biggest problem is it wasn’ t large enough everyone gobbled it up like a dessert! Thank you so much Janet! I guess double or triple for next time… sounds like you have fantastic friends! :D Thanks for giving the recipe a try, I appreciate you! I have a question: Can I use fresh mozzarella? Would that not be “melty” enough? I can’t wait to try it! Hi Andrea, yes sure! Why not. Yes the texture is a little different but still so good. You may want to add more salt on top though, or in the dip. Isn’t fresh mozzarella usually less salty? Just keep an eye on that! But otherwise, sounds perfect. Have a great holiday and thank you! No problem at all James! Just plain good thinking on your part. Have a great holiday! The spinach and artichoke was a big hit! I used half fresh and half shredded mozzarella and a few dashes of hot sauce. I sprinkled a little paprika in the top for color. Thanks Meggan!! Hi, can I substitute another cheese for something that is not as stringy as mozzarella? Thanks can’t wait to try it! Hi Jenny, you can definitely substitute whatever cheese you want! I don’t think it will be a problem. Less stringiness, yes, but should still taste great. Obviously pick a cheese you like and you’ll be happy. :) Thanks for the question! This recipe was AMAZING made it at the cabin in our cast iron skillet and it was Even BETTER the next day when i heated it up again! The top got crispy it was So yummy! I did add just a little parmesan cheese on top to Brown. It was awesome. Thanks for sharing the recipe! I only have fresh spinach. Will that be a problem? Hi Haley! Not a problem! 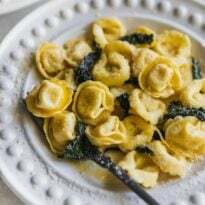 The only thing to consider is how much fresh spinach equals 10 ounces of frozen (and really, it’s not a huge concern for me if it’s not one for you). If you can do a pound of fresh spinach, you’ll have somewhere between 1 and 1 1/2 cups of spinach once you’ve cooked it down. So that would be roughly 10 ounces frozen. And, you need to figure out how to cook it down. I’d recommend putting 1/2 cup water in a skillet with the spinach and just simmering it until it’s cooked down. I hope this helps! Please let me know if you have any other questions! Happy New Year. Hello! How long should the spinach be thawed? Mine’s in my freezer and I plan to make tomorrow morning. Thank you! Hi Annalise! Just follow the directions on the package to microwave it. Might take like 7 minutes. Good luck! Just saw this on IG. I don’t go to Applebee’s, but I do always order this on a splurge date at a local restaurant, and am perfectly aware that they’re not in the kitchen whipping this up! So certainly a home-made version has to be even better. I’m surprised you use marinated artichoke hearts, tho. Interesting! Can this be frozen before heating? I’d like to make this for an appetizer exchange…..